SearchStax named one of the “Top 20 Open Source Software Solutions for 2017”. Read more here. 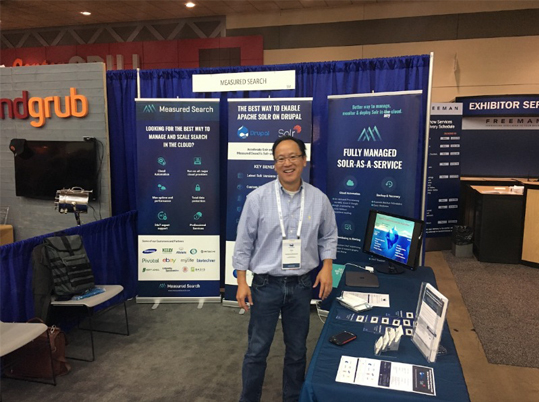 Home / Blog / Events / DrupalCon Baltimore 2017: Improving Drupal Search with Solr – One Website at a Time! 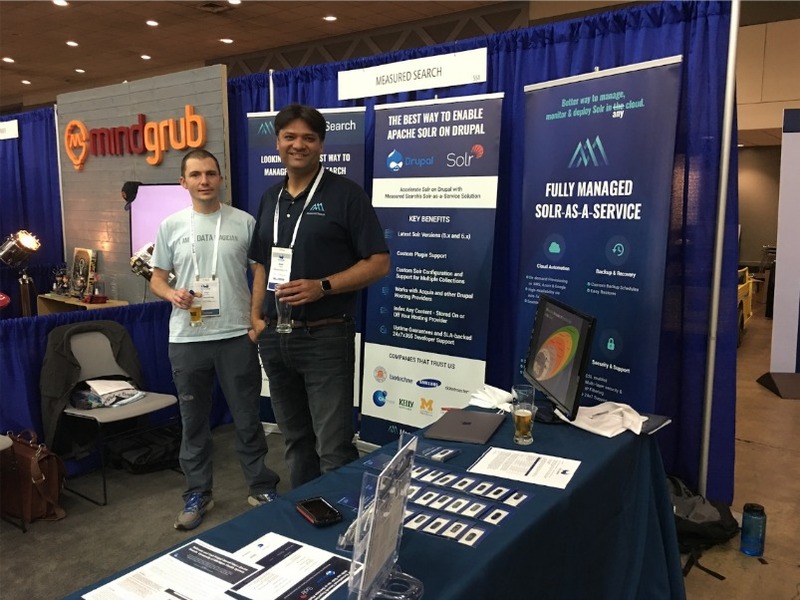 DrupalCon Baltimore 2017: Improving Drupal Search with Solr – One Website at a Time! The DrupalCon 2017 conference in Baltimore, Maryland has just come to a close. 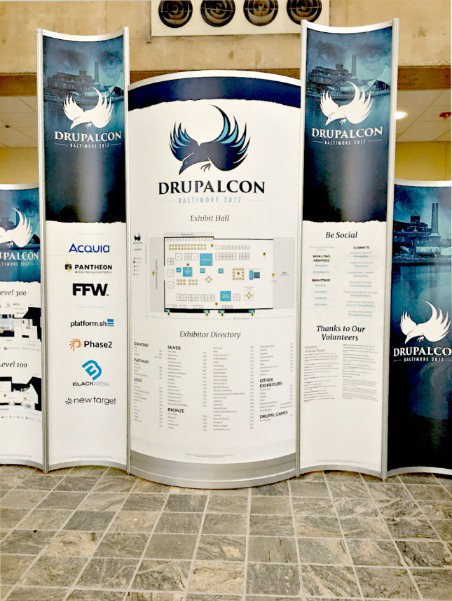 We had a great time and really enjoyed interacting with the Drupal community. 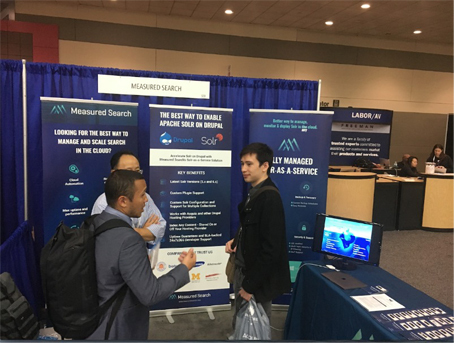 It was great to chat with folks and talk about their search issues and how we can help to improve Drupal search with Solr. Our giveaway, free webcam covers, were a hit and folks snatched them up quickly. All in all, the event was a success! We enjoyed seeing familiar faces and meeting new people from around the world that share the same enthusiasm for Drupal as we do. We had a great time in Baltimore – we enjoyed the crabcakes, took in an Orioles game, and had a few pints of the local craft beer. We’re looking forward to seeing everyone again next year. 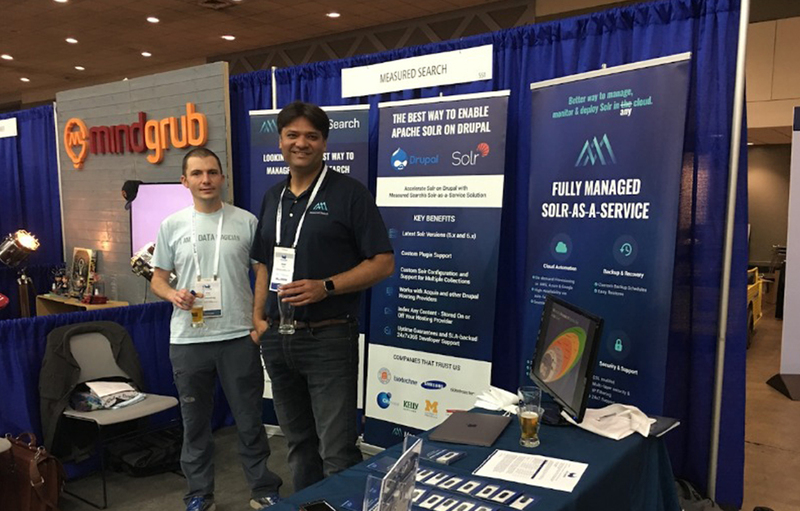 In the meantime if you’d like more information about our Solr-as-a-Service or would like to schedule a demo, feel free to reach out to us here. 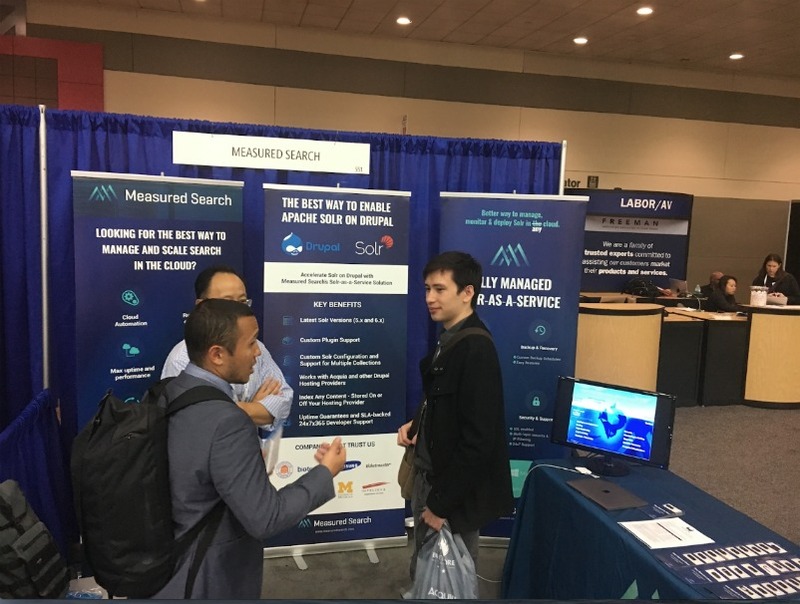 Sameer Maggon our Founder and CEO with one of our partners: Doug Turnbull, Search Relevance Consultant at OpenSource Connections. Hanging with our partners Arturs Oganesyan-Peel and Thomas Hada of Anant Corp.
Get The Latest Content First!